Playing the cello can be one of the most lovely skills you can learn. When you know how to play the cello, you can play any music you like, you can play when you are stressed, you can play when you are happy, and if you like, you can also play for others. Many people wished that they can play the cello. Some learn when they are young, some want to learn when they are older. After having giving cello lessons in Singapore for more than 7 years, I realized that cello is an instrument that is loved by all ages! I have taught kids of 5 years old, and adults of 60 years old and above, their first cello lesson. Both lessons are equally enjoyable for them, and for me. In Singapore, especially in this ‘kiasu’ (scared-to-lose) culture, parents send their kids to multiple enrichment classes as young as 3 years old. Yes, I do have parents requesting me to teach their 2 years old child too. When you see so many kids attending music lessons, the common assumption would be that ‘music lessons are for kids’. When we see all these around us, we will always think “Wow, what did I do when I’m at that age?” , “Why didn’t I learn something when I was young?”, and it will slowly lead to “It’s too late to learn any instrument now as I’m not young anymore”. All these thoughts are just holding you back. No one says the music is only for kids. No one says adults can’t learn music from start. In fact, I’m going to tell you why you will learn the cello faster and better than a child, even if you have ZERO music background. You would have love some classical or pop songs, and that’s why you’re interested in learning cello. And because you know the tunes inside you, you can pick up sounds easier. You learn to recognise notes faster too. And needless to say, if you’re learning to play songs you love, you will naturally love to practice and play it perfectly. You may have completed school, but you may have to work, or juggle family and personal time. That’s where it can be challenging sometimes to have cello lessons. Sometimes, because of your work, you may need to skip a few lessons. Hence, if you want to learn the cello, do set a fixed time and day of the week for lesson, and commit to it. Many adult cello learners will say that their fingers are not as flexible as the kids, hence, they may not move as fast, or play as good as kids. It’s true that if you never play cello before, your fingers will seems rigid and stubborn. However, your fingers will become more flexible once you played the cello over time. 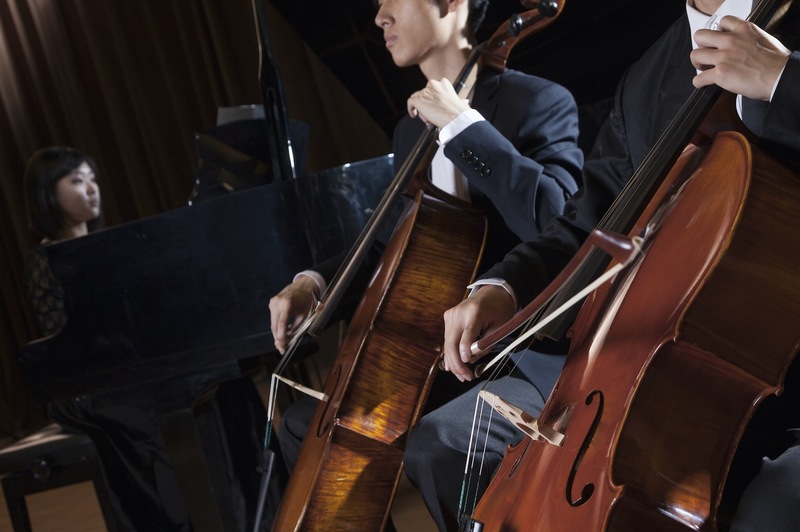 The constant movement and finger exercises in your cello lessons will get your joints loosen up and be more flexible. So don’t worry about this. You want to learn the cello, but you think that you may not be able to play it, because you think you’re tone-deaf. You attended a few cello lessons, and you realise you took some time to understand some musical notes and playing. You feel like giving up as you think you’re a slow learner, and not talented for music. So if you really want to learn the cello, throw out all these pre-conceived ideas about yourself that holds you back from learning the cello well. So if you’re an adult, can you still learn the cello? The answer is absolutely yes. And it’s not because we want you to sign up for our adult cello lessons right away. It’s because it is entirely possible for anyone to learn cello at any age, and we’ve seen many adults of all ages fulfil their childhood dream of playing the cello.